WHAT IS GOING ON WITH H.R.5 - Contact the House Committee on Education and the Workforce DIRECTLY! WHO VOTED In Favor of H.R. 5 - Student Success Act ??? 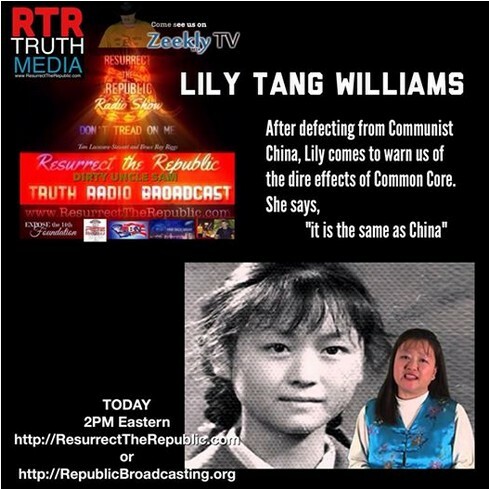 WHO is Trying to Sell Out WE THE PEOPLE's CHILDREN to COMMUNISM??? How Does Net Neutrality Censor YOU? 2/24/2015 The Silence on ESEA is Deafening! 2/28/2015 Federal ESEA Reauthorization has its eye on Finland. 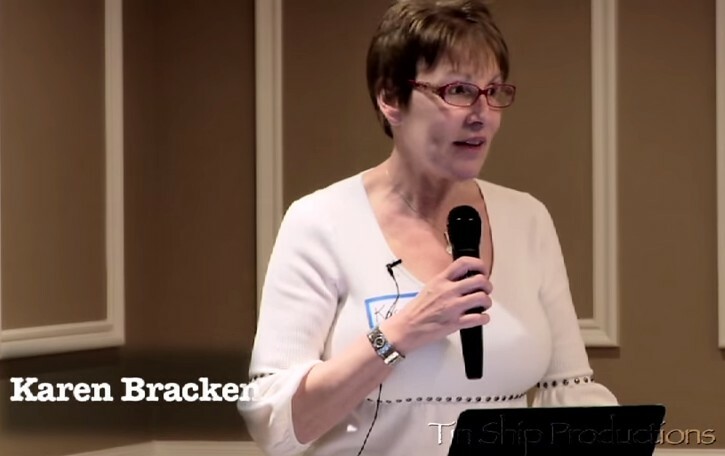 2/17/2015 Do We Want the Military Involved in Common Core? ACTION #1 - Federal bill HR5 - Student Success Act - Rep. Kline - is a boondoggle worse than NCLB and RTTT. It has passed out of committee and will go to the floor for a vote as early as Tuesday, February 24, 2015. We MUST stop this bill from passing. Alexander is already redoing his bill in the Senate to please Obama so he doesn't go through with his threat to veto. This act alone should be all the warning we need. 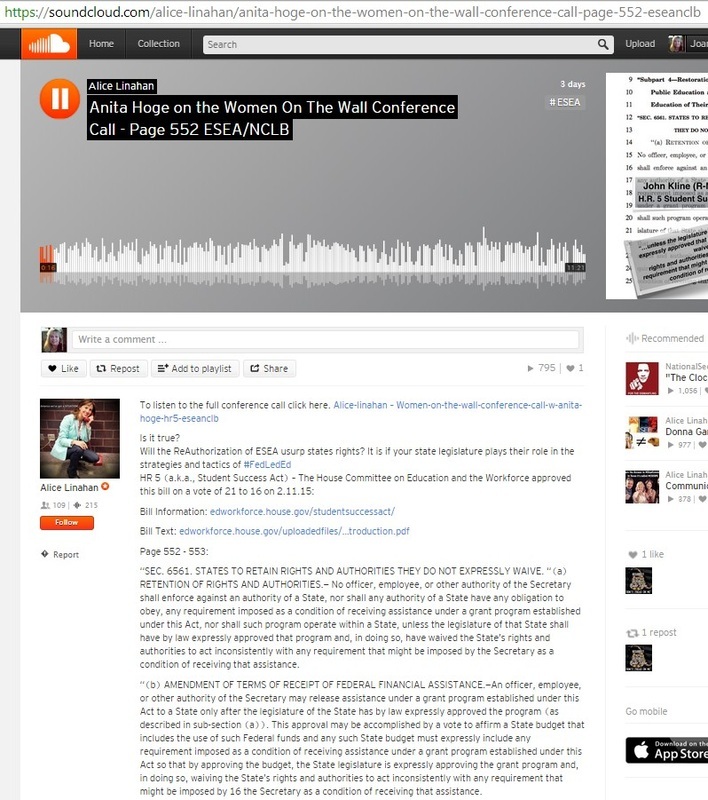 For those of you that missed the call with Anita Hoge I am attaching a link so you can hear the information she has revealed about HR5. I am also attaching a copy of HR5 with sections discussed on the call highlighted for your convenience. I have highlighted other things I noticed but take note to Pg. 552-553, Pg. 488 and Pages 78-80. 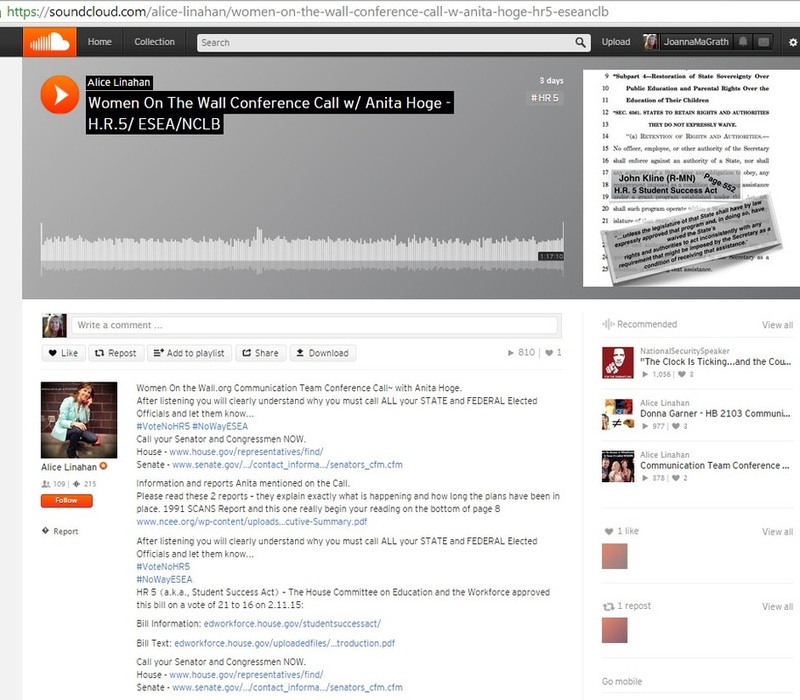 Here is a short 11 minute excerpt from the conference call to share with state and federal legislators or for yourself if you don't have time to listen to the long conference call. Here is a quick read on some of the egregious things in HR5. Pick a couple points and let your US Rep. know you want them to vote NO on HR5. Let them know we are watching this vote with close scrutiny. Here is a long Press Release just sent by Anita Hoge. The more we look the worse it gets. 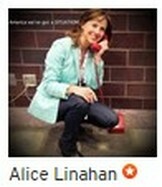 Go to POPVOX.com and OPPOSE HR5. If you are not registered on this site I highly recommend that you take the few minutes to register then OPPOSE HR5. This website sends and immediate message to your US Representative or Senator. PLEASE SHARE THIS FAR AND WIDE WITH EVERYONE YOU KNOW. This is CRITICAL. Although they try to make this bill sound oh so nice if passed the federal government will own education and the souls of our children. Private, religious and home school will not protect our kids if this bill is passed. It is obvious that once again our elected officials have not read the very bills they are supporting. If they read this bill then they are complicit in this assault against American children. or DR. YONG ZHAO have agreed to come to Tennessee and testify on behalf of our side of this issue. Marc Tucker is evil and has been working since the Clinton administration to nationalize education. He believes American education should be modeled after the system used in Socialist/Communist countries. The Foreward of his new book (Surpassing Shanghai) was written by Linda Darling-Hammon the master mind behind CSCOPE and Smarter Balance. She was Bill Ayers choice for Secretary of Education and he was VERY upset when President Obama selected Duncan over Darling-Hammond. Please see the attached article about Marc Tucker. 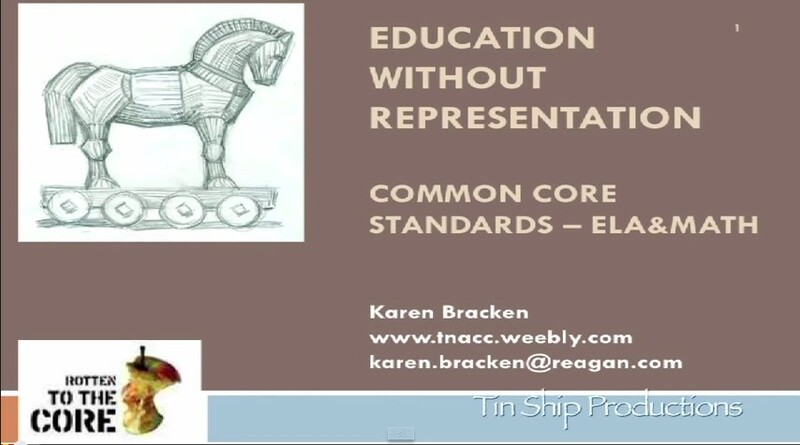 IF YOU CAN MAKE IT TO NASHVILLE ON TUESDAY PLEASE PUT ON YOUR ANTI COMMON CORE T SHIRTS OR PUT A PATCH ON YOUR SHIRT TO LET THEM KNOW YOU ARE THERE AGAINST COMMON CORE. THE HEARING IS AT 10:30 CST. and again at 12:00pm CST. ROOM HHR16. 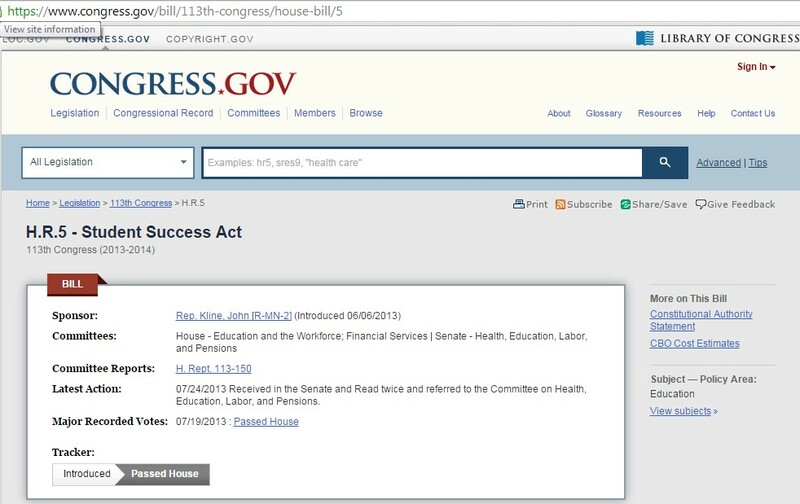 Tomorrow H.R.5 Student Success Act will be voted on. PLEASE I would like to request you vote NO on this bill. HR 5 denies parents their rights over their children. Reference page 488. Reference page 522-555. HR 5 legislation creates the radical transformation of tax collection through the assigned destruction and hostile takeover of our local neighborhood schools. HR 5 violates states' rights under the United States Constitution. HR 5 is designed to destroy local, public neighborhood schools through usurpation of elected school boards' authorities and responsibilities. HR 5 will destroy all private education in America, as well, legislating Title I "choice" vouchers that will "follow the child," enforcing HR 5 compliance in EVERY PRIVATE AND RELIGIOUS SCHOOL. HR 5 would legislate services to these Title I "choice" children called DIRECT STUDENT SERVICES AS A VOUCHER that must be equitable and comparable to any public school, which is needed to satisfy Common Core. HR 5 will destroy representative government, all non-governmental schools, and standardize education across this nation. 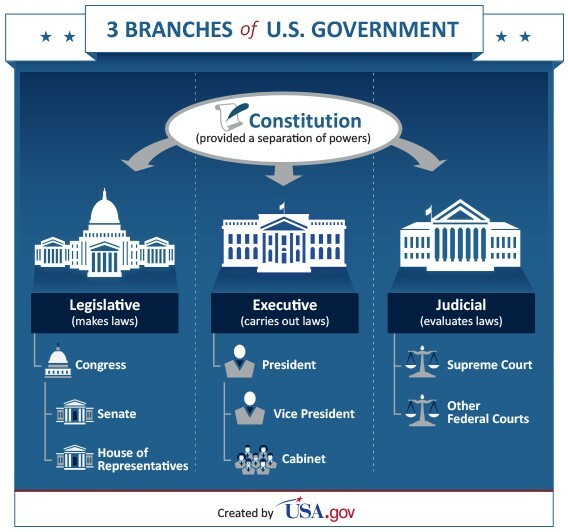 This overreach of the federal government is in direct violation of our United States Constitution which dictates separation of federal jurisdiction vs. State jurisdiction. HR 5 is a Constitutional Crisis in the Making. HR 5 requires that states legislatively surrender their rights over education in order to receive Title I funds. The passage of Representative Kline's bill out of committee to be voted on by the entire House of Representatives by February 24 PLEASE Note "NO". The HR 5 Reauthorization of ESEA, amending No Child Left Behind, must be stopped because the provisions inherent in this legislation are egregious and lack Constitutional authority. Passage of H.R. 5 will bring about the destruction of the United States system of public education as well as the radical transformation of representative government both at the state and local level. States' rights issues have NOT been discussed at the hearings. Is each state legislature aware of the fact that there are measures, hidden in federal and state statute, removing their state’s guaranteed rights under the Constitution? Will each state have to amend its own state constitution to comply with HR 5? 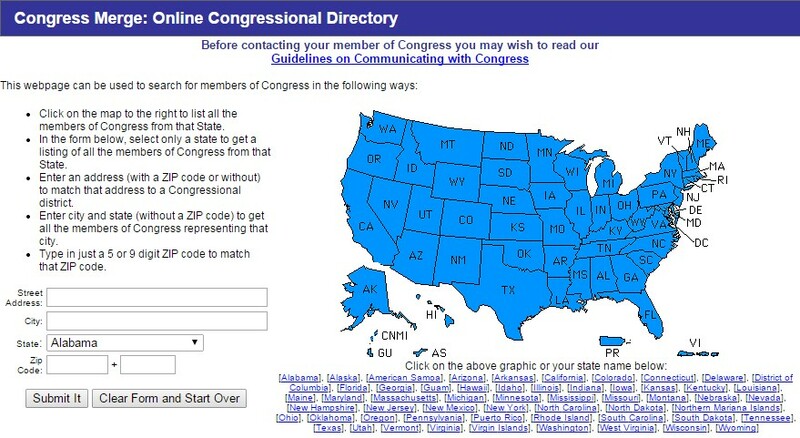 Several states have recently added language in their state statutes that in effect cedes jurisdiction to the federal government. Do states know of the impact of HR 5 legislation and been advised? Will states have to comply to federal ESEA legislation and future ESEA legislation? Will each state's Department of Education have to develop and implement Keystone Exams as required by the No Child Left Behind Act of 2001 (Public Law 107-110, 115 Stat. 1425) or any successor statute." (lines 17, 18, 19 )? For states passing legislation is it written, "they would succumb to ESEA federal law?" ...Example: "Upon the effective date of this act, the State Board of Education shall seek certification from the State Regents for Higher Education that the subject matter standards for English Language Arts and Mathematics which were in place prior to the revisions adopted by the Board in June 2010 are college-and career-ready as defined in the Federal Elementary and Secondary Education Act (ESEA) Flexibility document issued by the United States Department of Education." Which states have codified Common Core through ESEA giving up their state's rights authority by surrendering education and students to federal control? Have states been apprised of the devious design in HR 5 to take away states' rights granted under the 10th Amendment to the Constitution? Do Representative Kline's hearings discuss the aspect of the "direct student services" that is defined as PUBLIC SCHOOL CHOICE FOR ALL PRIVATE AND RELIGIOUS SCHOOLS? Why have these services NOT been discussed?...services that each private and religious school MUST "provide on an equitable basis" to meet the individual needs of each child who receives a SUPER VOUCHER? Are the states going to require that private or religious schools MUST use "approved academic tutoring services as determined by a provider on a State approved list"? Will schools be subjected to discrimination charges if they deny matriculation of a Title I child even if they cannot financially support the OPEN ENDED direct services mandated in HR 5, as explained even if it bankrupts the school? Is it true (A Question for Representative Kline) "meaningful choice" is defined as complying to state standards (Common Core) and interventions identified for each "at-risk" child receiving the following services: Special Education, instructional support services, counseling, mentoring, one-to-one tutoring, and other benefits for the Title I child? Why is there wording that mandates that a private or religious school MUST comply with the Civil Rights Act, (the school cannot deny admittance to a Title I choice child) 6504 Rehabilitation Act, Americans with Disabilities Act, (MUST administer services for mental health disabilities), IDEA (MUST administer behavioral screening, response to interventions, positive behavioral interventions and supports, mental health wrap-around, BILLABLE MEDICAID SERVICES, mental health services or specialized student support services), General Education Provisions Act (GEPA). 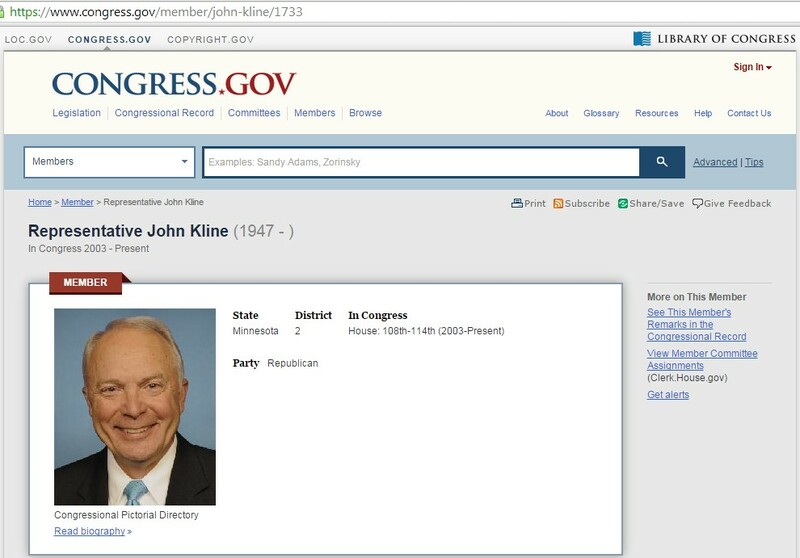 Does Representative Kline know full well that HR 5 will codify the Family Education Rights in Privacy Act (FERPA). This important Act, as it stands now, has been totally gutted due to President Obama’s Executive Order, EO 12866, January, 2012. FERPA now allows personally identifiable information on the student to be released without informed written parental consent. This personally identifiable information on the students includes anecdotal, psychological observations, analysis, and reeducation interventions in the affective domain by teachers, all tracked and trafficked? Is it a must private and religious schools provide the following specialized Instructional support on an equitable basis with public school students? 1) Services defined as school counselors, social workers, school psychologists, or other qualified professional personnel providing assessment, diagnosis, counseling education, therapeutic and other necessary services defined in Sec. 602 IDEA, Individuals with Disabilities Education Act, when in fact Common Core has been expanded into the mental health personal trait standards defined as social, emotional, and behavioral weaknesses now coded as a disability? 2) The State Education Agency names an ombudsman, "an official appointed to investigate individuals' complaints against maladministration, especially that of public authorities," for the following equitable services in each private and religious school: 7monitoring and enforcement requirements of private and religious schools, including reeducation in the affective domain. Obviously, under HR 5 the SEA will operate independently with no accountability to the state legislature which has surrendered its authority and responsibility over education and the students? Referring to the concept of Title I funds that will "follow the child" and the super voucher called "direct student services”: the Title I fund that "follows the child" is going directly to every child, bypassing state government. Is it true... NO ONE at the public hearings explained that CHOICE, TITLE I FUNDS "FOLLOWING THE 'at-risk' CHILD" would be used to destroy the financial base of public schools which have elected school boards and are funded by local tax dollars? Is it a FACT... HR 5 is purposely designed to destroy the traditional public school system? Is there scores of pages in Representative Kline's bill ESEA legislation that would expand CHARTER SCHOOLS OPERATING WITHOUT BOARDS ELECTED BY THE TAXPAYERS AS THEIR REPRESENTATIVES? IS THIS A SET UP FOR CHARTER SCHOOL TAKEOVER OF ALL EDUCATION with charter school authorizers to control private and religious schools? Has anyone explained HOW these Title I funds "follow" CHOICE, TITLE I "at risk" CHILD will impact the intrusion into private and religious schools, which will be forced into all of the mandates that come with Common Core implementation and EVERY CHILD identified and funded through Title I and thereby subverting the mission of the private and religious school? Has Representative Kline really crafted HR 5 behind closed doors and put it on the fast track to correspond to the "spitball" known as the ESEA Reauthorization? PLEASE READ THIS PART CAREFULLY... Is it true Representative Kline's HR 5 when merged with the Senate version of ESEA Re-Authorization will Nationalize Education By Passing Local Control and State Control, Eliminating Local Representative Government, The Hallmark of a FREE SOCIETY?... or...FACT! 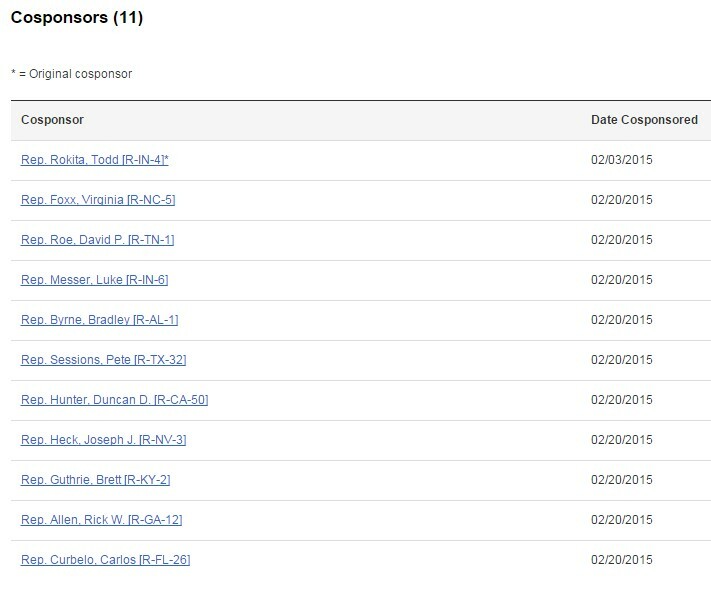 Is it true Representative Kline's "super vouchers" cannot buy our children? No government can deny parents their God-given rights over their children. (Pierce vs Sisters, 1925) Is Representative Kline really requiring parents to waive their rights?... Similar to the waivers HR 5 requires of the states? If so, we demand that Representative Kline immediately produce the waiver by which parents would sign their children over to the federal government! Explain that one to GOD...and your own grandchildren. Dear Reader if you care about a free America, you are obligated to STOP HR 5. Dear House Representatives PLEASE Vote "NO" on H.R.5 Student Success Act of 2015 to Amend No Child Left Behind LEAVING No Child Left Behind if H.R.5 Passes. Dear Reader PLEASE contact YOUR House Representative and Request they Vote "NO" on H.R.5 Student Success Act of 2015. REMEMBER... When YOU Remain Silent YOU Are Telling Government YOU APPROVE of Their Actions. PLEASE Stand Up, Speak UP and Let YOUR Voice Be Heard for YOU and for the Future of ALL Children!